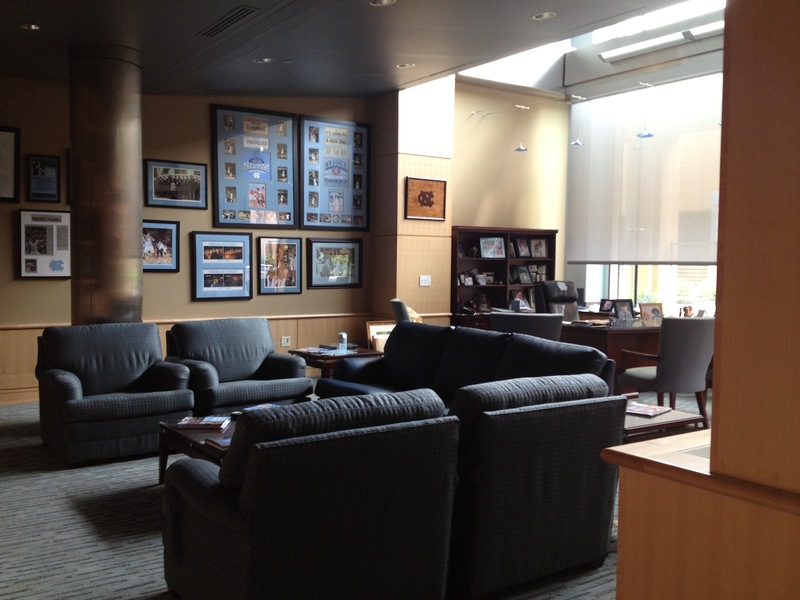 Imagine being in charge of communications for one of the most successful collegiate athletics programs in history … Especially in today’s age where everyone is a photographer and everyone has a Twitter account. Can’t be easy, right? As one of the newest members of the N.C. Association of Government Information Officers (NCAGIO), I spent this morning at the association’s monthly meeting — which, this month, featured a tour of the Dean Smith Center at the University of North Carolina at Chapel Hill. Steve Kirschner, UNC’s Director of Athletic Communications (and the man with the difficult job responsibilities described above! 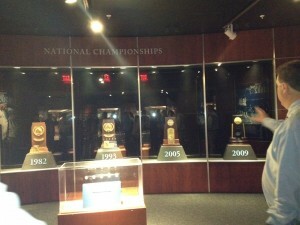 ), gave us his personal tour of the Smith Center: home of the Tar Heels basketball team. 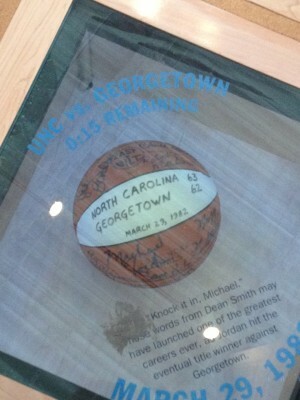 We started out in the Communications and New Media offices, and then worked our way to the Carolina Basketball Museum. From there, we crossed over to the basketball office, players’ lounge and training facility, press room, and the Dean Dome floor itself. 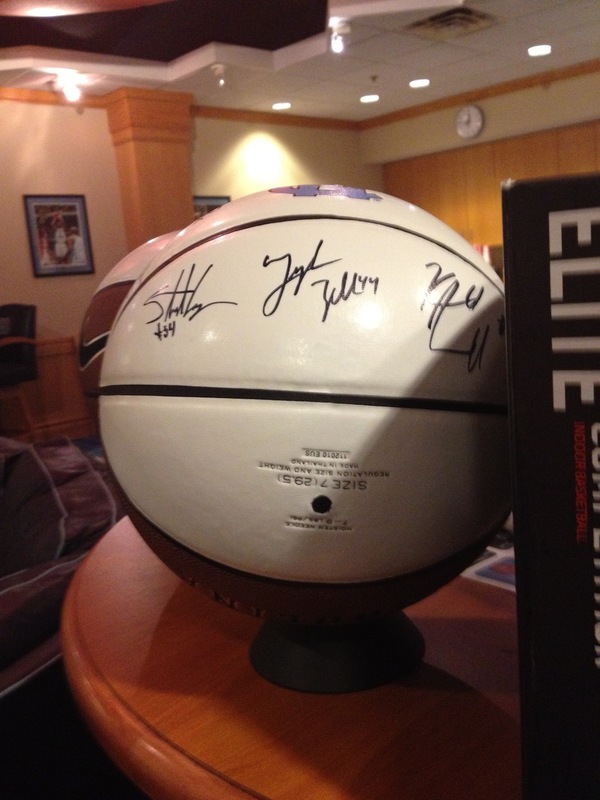 We even bumped into to a couple current players along the way! Steve gave great background information and stories about his tenure, the team, and his communications duties and challenges. It was truly an interesting experience! As a Chicagoan and child of the 90s, I'm a huge Jordan fan. Need I say more? We took a peek into Coach Williams' office while he was out. 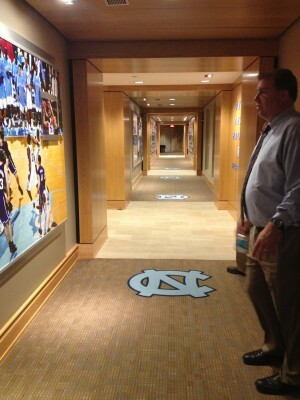 Even the hallways of the Dean Dome are shiny and new! 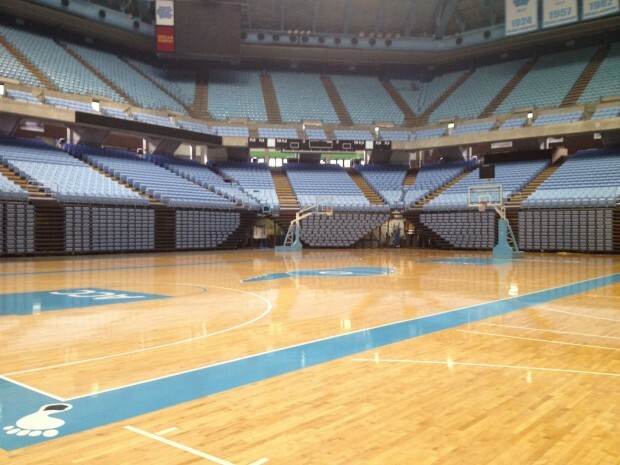 It's a huge change from the Palestra, where my alma mater plays. It took all my will power not to "borrow" this autographed ball from the players' lounge. 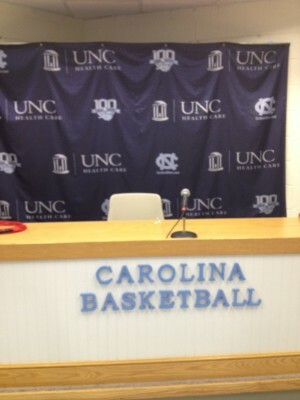 This is where Coach Williams sits for post-game press conferences.